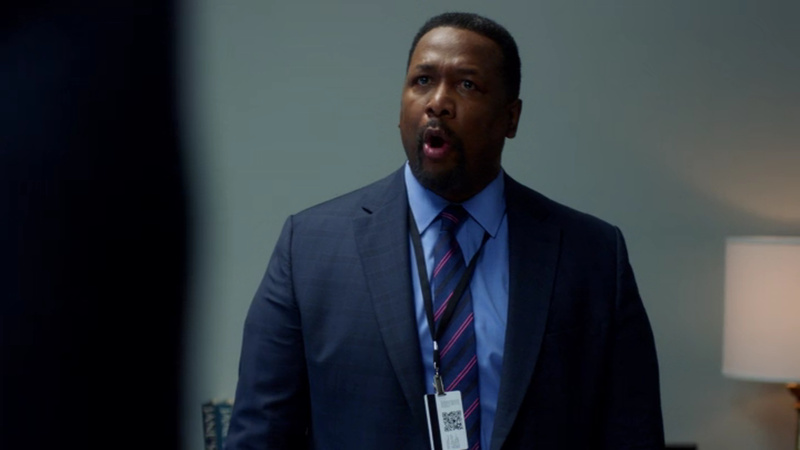 At the time I was in the middle of a Wilderness First Responder course (more on that later), so I didn’t have the mental space to actually watch the episode, but thanks to Stephanie’s Prime Student account, I “fast-forwarded” through it on mute until I got to the scene where James Greer’s ID badge flips over as he berates Jack Ryan—around minute 26:35. (Note: I still haven’t watched the episode, so I don’t know what was really going on.) The only problem is that given my laptop’s resolution and/or the video quality that Amazon Prime Video sends to laptops, I wasn’t able to verify the QR Code as mine (despite my best efforts to enhance it). Hmm, is that my QR Code? Not sure. 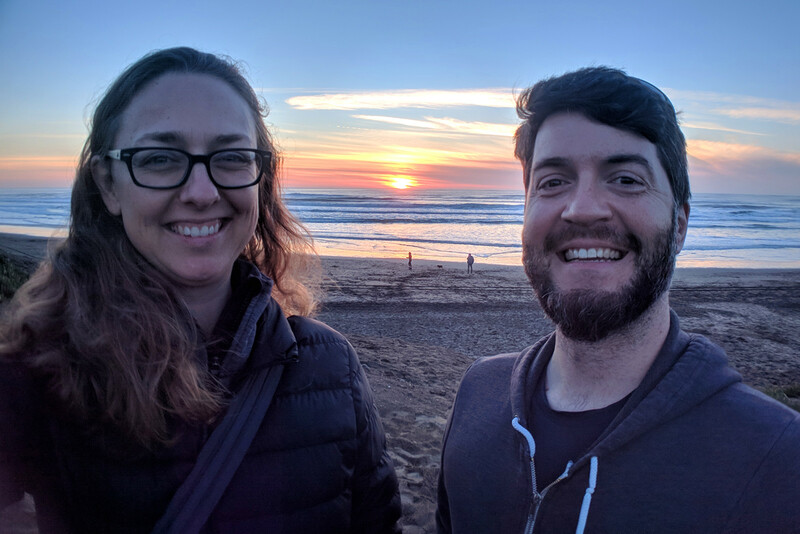 We got to Ocean Beach a few minutes before sunset on our last evening in San Francisco. When we moved from the Mission to the Sunset a year and five months ago, I didn’t anticipate developing such an affinity for the quiet streets and wild oceanfront of the city’s western flank. In search of a change of scenery and cheap rent, we landed there mostly because it was near SF State. Now I joke that I can’t see myself ever living east of 42nd Ave. It was hard to return to work after hiking the JMT in 2016. Usually when I get back from vacation, I feel refreshed and excited. I’m not sure why this time was different. Perhaps it was my approaching 4-year anniversary at Sincerely—I had never worked anywhere longer. I had the itch to go off on an adventure, perhaps attempting something like the PCT. There was only one problem: Stephanie had just started her first semester at SFSU, with 2 years to go before she’d complete her degree. I was sick the week of Thanksgiving, so we didn’t leave for Death Valley until Friday. Stephanie was instrumental in making sure we got out at all. Tradition! 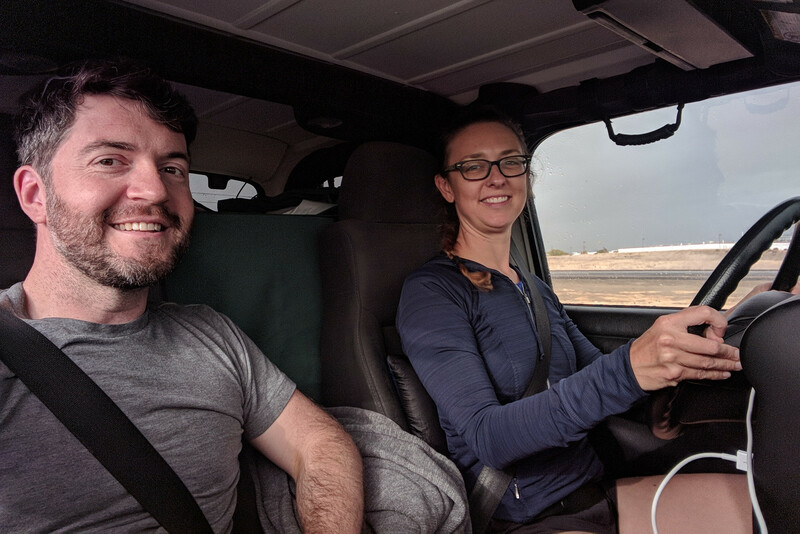 Though I helped with some of the food planning (yogurt, granola, dried fruits, and honey for breakfast; pre-cooked rice and veggies with curry simmer sauce for dinner), she packed our clothing and camping gear and did all of the driving that day. 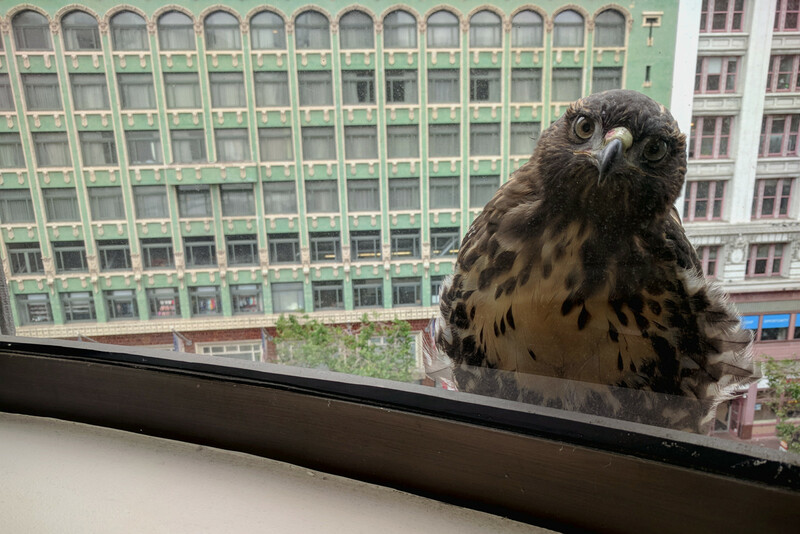 This morning, a hawk chose the ledge outside the window in front of my desk (six stories above Market Street) to hang out for about an hour and a half.